DCRM partners with CNMI schools on many levels. DCRM has worked with the Public School System (PSS) to integrate climate and natural hazards lessons into the 6th and 9th grade curricula. We have also partnered directly with schools and classrooms to give presentations about special ecosystems such as coral reefs, wetlands and mangroves, as well as the importance of watersheds and career opportunities in the environmental management field. Students have participated in designing and building their own school rain gardens, planting trees to protect Laolao Bay, and learning to snorkel. 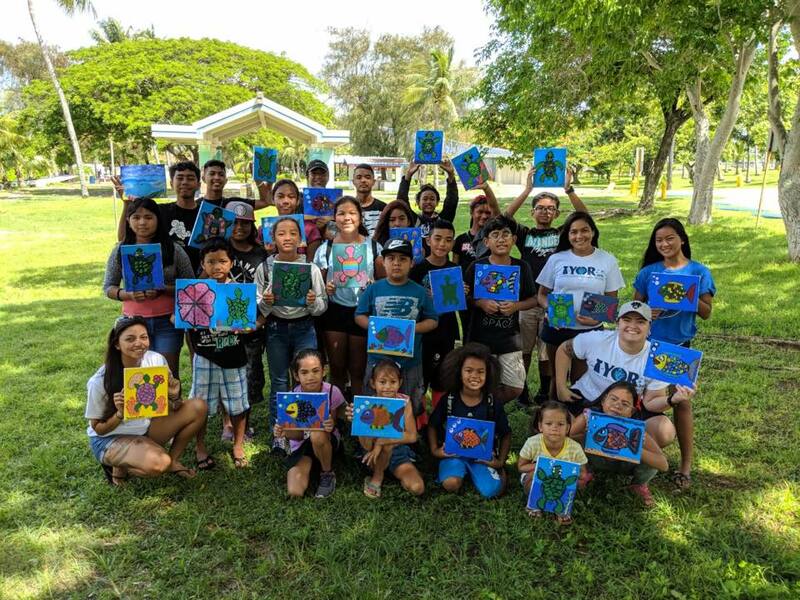 Students from the Tinian Ridge to Reef Eco-Camp display their eco-art.